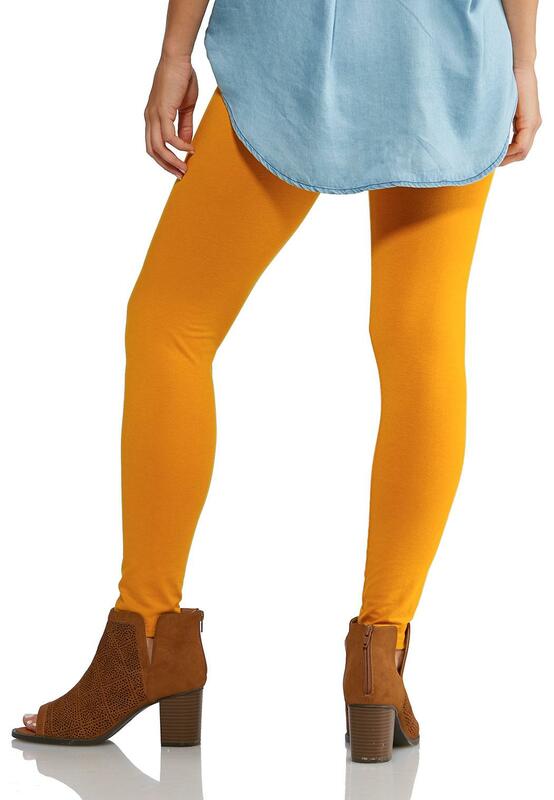 These super soft, durable leggings are perfect for all day wear! The elastic waist gives them a flattering, comfy finish. I ordered these leggings in Red, size Medium. I am 58, 150lbs with long, thin legs. These leggings fit GREAT, and they are so soft and smooth. I am so glad I bought them. I have bought several leggings from Cato and I have never been disappointed. Cute clothes at very reasonable prices, especially when they go on clearance. 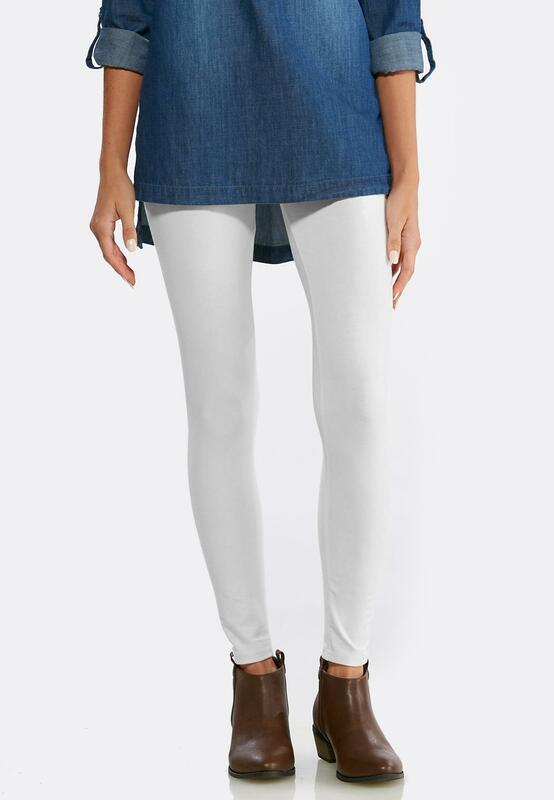 BTW, I am 63 years old, and have been told I look 40, so I intend rocking these leggings with cute flats or shooties.